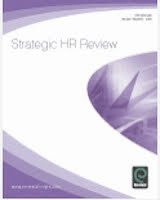 I’ve been reading a couple of research reports on UK business and HR in 2010. One is IRS Employment Review’s HR roles and responsibilities: the 2010 IRS survey (available at XpertHR – subscription required). This survey of 253 HR practitioners in October 2009 identified two important issues and initiatives for HR over the coming year. “HR is still busy dealing with restructuring and redundancies, and coping with the ensuing workforce and succession planning. The other research is PwC’s annual CEO survey which finds that "changing the talent culture" will be one of UK businesses' main priorities this year. "Delivering organic growth in a world more sensitised to risk will need careful leadership and management. 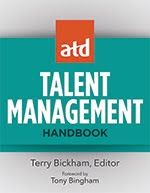 Success in 2010 will in part be dependent on how companies motivate, manage and reward their talent pool. Here in the UK there are some promising signs of CEOs tackling this issue. 78% plan to changes their talent management strategies in the wake of the financial crisis. The scale of anticipated change suggests that for whatever reason, existing HR practices did not support the businesses when the crisis hit. The past year has demonstrated that many reward models are broken, CEOs did not have sufficient flexibility to redeploy talent when the crisis hit and that different skills will be needed to compete in the new landscape." Two things leap out to me here. I’m not sure HR appreciates the scale of the challenge (or the opportunity). CEOs want you to make a difference, if you’ve got the ambition and imagination to do this! The change isn’t all about restructuring and engagement. CEOs want to increase investment in talent management, but they want to manage talent differently too. Stuck for ideas? Give me a call. On 28th April, I’ll be speaking at informatology’s 2010 "Good Practice for Great Performance" conference, which is designed to give business and talent leaders inspiration and insight to help their organisations be as successful as they can be. The conference sounds like a lot of fun, with plenty of 2.0 and even an unconference thrown in! Key themes include managing change, leadership, customer service, executive coaching, engaging and utilising talent, great places to work, the professional services sector, e-learning, making video, the future of workplace learning, team collaboration 2.0 (my session), sharing knowledge 2.0, enterprise 2.0, and learning & performance 2.0! Clive Shepherd, a consultant specialising in learning and communications technologies, chairs the session on Great e-Learning. The conference will be held at Baker Tilly’s Conference Centre in London from Wednesday 28th to Friday 30th April, 2010. Can you attend this event? Book here. On 17th March, I’m in Bratislava, Slovakia for Trenkwalder’s New Trends in personnel management conference, where I’ll be presenting on HCM. The forthcoming 16th Year Annual Conference NEW TRENDS Personnel Management will be held on 17 March 2010 (Wednesday) in the congress hall Austria Trend Hotel Bratislava. As well as the success with 15 years of constantly trying to bring you something new and inspiring of human resource management, this year we start a new tradition, which exalts our conference on 1 Czecho-Slovak Congress - New trends in personnel management 2010th Given the current labor market situation, the upcoming congress will be held in a spirit link HR and business processes with the name "HR AS A BUSINESS PARTNER”. Prestigious scientific event is intended primarily to senior managers, personnel managers and specialists in human resources management. Every year, will welcome around 150 participants and speakers from the Czech Republic and abroad. This day will bring you many new stimuli, information, rare meeting with colleagues in human resources and exchange valuable experiences. Pripravovaný 16. ročník každoročnej konferencie NOVÉ TRENDY V PERSONÁLNOM MANAŽMENTE sa uskutoční 17. marca 2010 (streda) v kongresovej sále Austria Trend Hotel Bratislava. Keďže sa aj po úspešných 15-tich ročníkoch neustále snažíme priniesť Vám niečo nové a inšpirujúce z oblasti riadenia ľudských zdrojov, tento rok začíname s novou tradíciou, ktorá našu konferenciu povyšuje na 1. česko-slovenský kongres - NOVÉ TRENDY V PERSONÁLNOM MANAŽMENTE 2010. Vzhľadom na súčasnú situáciu na trhu práce sa pripravovaný kongres bude niesť v duchu prepojenia HR a business procesov s názvom „ HR AKO BUSINESS PARTNER“. Prestížne odborné podujatie je určené predovšetkým vrcholovým manažérom, personálnym manažérom a špecialistom v oblasti riadenia ľudských zdrojov. Každoročne privíta okolo 150 účastníkov a prednášajúcich zo Slovenska, Českej Republiky i zahraničia. Tento deň Vám prinesie veľa nových podnetov, informácii, vzácne stretnutia s kolegami z oblasti ľudských zdrojov a výmenu cenných skúseností. If you’re attending, come and let me know you’ve read this on my blog. And if you’re otherwise in Bratislava on 17 March, I’ll be at the Austria Trend Hotel – give me a call and come and say hello. “The world is shrinking and networks are going global. #trulondon is a testament to the narrowing of borders combining the leading brains in our sector from the UK, the US and Canada. I thought it was a good conversation, and useful too, if no reason that I’ll be doing a couple of conference presentations on global HR later this year…. My main take-ways from TRU London were new and deeper relationships rather than many learnings about recruitment. But there were a couple of conversations that got my thinking going. One was a session on HR Leadership, which included Mervyn Dinnen, Laurie Ruettimann and Bill Boorman, and which got into some fairly deep and challenging issues. Oh, and of course, I come come away with a few new perspectives too. I’m even more committed to using more video on my blog, thanks to encouragement from Jim Stroud, Lisa Scales and Marie Journey. More power to elite managers in workforce of the future? More on this (probably in written form) after the session at the RSA on Thursday. It was a pretty mad couple of days and is taking a while to climb back down from. One thing is certain, I’m never again going to experience the same sort of high after meeting just one solitary HR blogger as I have in the past. Not after what seemed like a hundred of them at TRU London! 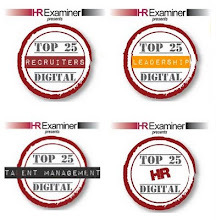 Take a look at this list of my post-conference tweets to some great HR and recruitment tweeters! You can read all of my blogs on the event here. Alan Whitford’s RCEuro – recorded from the pub at the end of the event! “Employer brand no longer exists. Bill then went on to do a further post, Employee Branded?, and a guest post on Mike VanDervort’s The Human Race Horses blog, The Employer Brand Is Dead? Choice - If I take exception to the way Coke delivers the ‘customer experience’, there is always Pepsi. Or some other brand pretender. Either way, I still get my cola fix. I can even buy a different brand everyday without impunity. But I can’t do the same with employers. Even the most talented and sought after can’t afford more than one or two ‘mistakes’ on their CV before the prejudice and hypocrisy of the recruiters cause them to start muttering about capability and poor judgement. Right, well I’m guessing that we probably won’t end up discussing any of this in the session today, even if it does take place, but if we do, what are my ideas? Well, I agree with Gareth that there is a difference between the corporate / product and the employer brand. But for different reasons. To me, the key point is that employees talk to each other – and this means the environment is more complex, emergent, subjective, and less controllable, than the consumer one. Now OK, the consumer environment has changed too, largely as a result of social media, which is why I think we’ve got to ‘customer branded’. But in most sectors ,customers still don’t talk as much or as easily as employees. So what does this mean about ‘employee branded’? You need to ensure that this is translated into an employer value proposition (EVP). This EVP needs to be developed to fit your employees, but it’s even more important that it supports your BHAG / mojo (which of course, should also be informed by, and developed through discussion with, your employees). The EVP should also influence your employees ie you’ll recruit people who appreciate the offer that you’ll provide. You then need to deliver this EVP (or a tailored version of it) to each employee. This is the difficult bit. Firstly because the delivery is done by your line managers which you can’t completely control. And also because delivery is down to your employees’ judgement about what has been delivered, ie its a relative rather than an absolute quality. It’s the result of the delivery of this EVP which provides the basis for your employer brand (with some ability to accentuate the positives and the direction you’re travelling in). So how much of this do you control? Employer brand: because of the above, largely, yes. Net result - employer branding has still got my vote. And so finally, its here. TRU London 2 starts tomorrow. I’m struggling to work out whether this is a really big deal, or not. It sort of feels like it is, largely because a good proportion of the people I follow on Twitter have been tweeting about it, whether they’re attending or not. And I am looking forward to the unconference experience, and hopefully learning a few things about recruitment too. But what I’m really looking forward to is meeting more of the tweeters, and especially the bloggers, that I’ve been following over the last couple of years, and who I feel like I know well, even if we’ve never met. Anyway, going back to my point, I’m also aware, that for the large majority of the people I know, and given I guess that most of the ‘marketing’ for the event has been done via social media, TRU won’t be anything they’ve heard of, or ever will. Which feels a bit strange. Steve Boese HR Happy Hour episode 33 – 6.00pm Friday. I’ll also be blogging at least once on both days. So, see you at the event; here; on a podcast; or on the Twitter stream! On 21st May, I’ll be facilitating a workshop on effective management of reward budgets for Osney Media. David Turetsky, Product and Solution Evangelist, Workscape Inc. Guy Ellis, Director, PeopleStuf Ltd.
Book online here. And if you do attend, come and say hello. Social media can inspire employees and generate new ideas when it is used as a collaboration tool. Communication is no longer limited to a one-way delivery of information; organisations are participating in two-way dialogues and using social media to engage employees in innovative ways. How do you engage employees, create a shared vision, increase productivity and derive benefits from increased employee engagement? Many companies are increasingly concerned about the risks of social media and are reluctant to introduce it into their organisations. How do you introduce and embrace the utilization of social media with proper planning and guidelines to ensure success and employee advocates? Speakers for the session will include Tim Johns, VP Corporate Communications at Unilever and Ed Gillespie, Co-Founder of Futerra. Should be fun! Come along if you can. You can book here or for more information, please contact Serina Mufti at smufti@justmeans.com or +44 (0) 203 238 2121. And let me know if you’ll be there, or at least ensure you come over and say hello! I’ve already posted briefly on one session at the Enterprise 2.0 virtual event this week, but want to write even more briefly about another. This is Morten Hansen’s opening session on collaboration. I’ve already reviewed Hansen’s book, Collaboration, on Talking HR, so I’m not going to go through his whole presentation. But there were a couple of additions in this session. One of these was a discussion on enterprise 2.0 technology which was a glaring omission in the book (leading me to shout out ‘hello! – wiki!! !’ on the show). And I thought you’d be interested in the other addition which is shown on this slide: the ‘new HR agenda’. Why? Well, according to Hansen, there’s going to be a paradigm shift around (disciplined) collaboration – as this is the future of work. To develop effective collaboration, organisations need to recognise that the motivation barrier is as great as the need to ensure it has the right technological tools. This isn’t so much about 2.0 as these tools don’t fundamentally address the motivation barrier (duh!). It’s much more about HR. So one way of addressing the motivation barrier is through the development of T-shaped people, which Tim Brown, CEO at IDEO refers to as ‘a depth of skills and a disposition for collaboration across’ and which he believes is the backbone of IDEO’s collaborative culture. And T-shaped people are developed by changing HR systems to focus on both individual work and collaborative work – so where is the right balance in the dimensions shown in the slide for your organisation? One of the conversations I had on Thursday night (at the recruiting tweet-up, RTU) was about Mervyn Dinnen’s tweet last year, at Mike Taylor’s Social Recruiting conference, about there having to be a better (more social) way of exploring social topics than traditional conferences. If I’ve got this right, Trish McFarlane responded with a tweet about last year’s HRevolution un-conference in (which I missed as I thought the travel time would be a bit excessive given that I had a lot of client work to do), leading indirectly to the first of Bill Boorman’s TRU un-conferences last year (which I missed because I was at the CIPD conference in Manchester). Well, I think Mervyn, Trish and Bill are right. Traditional conferences are increasingly out of synch with today’s more informal and social life and work styles. And unconferencing is an approach that I’ve wanted to get involved with since speaking about it with Jay Cross (see Jay’s definition of an unconference) when we did some work together a few years back. So I’m very excited to be attending, and track leading, at Bill’s second TRU (The Recruiting Unconference) event, TRU London 2 in just two weeks time. Following on from the popular Recruiter Cast debate “Is the Employer Brand dead?”, this track looks at the issue of employer branding. How to stand out as an employer and how recruiters can use employer branding. Has employer branding is turning in to employee branding as a result of the social media explosion and the growth of the personal brand. Branding experts Nick Price, Michelle Fischer and Sarah White from the U.S. will be debating all the issues in this key area. From HR to recruiters, we seem to hear of the imminent passing of all the trades we recognise are facing extinction from a changing world. Who is next to start pushing up the daisies? This track promises to be lively and global looking at who is on the endangered species list, why and what they need to do in the future to ensure a brighter future. We will fight them on the job boards, we will fight them in Facebook. We will never surrender! The battle to attract the best talent for current and future hires. is there such a thing as a passive candidate? How to track and engage with potential future hires. How can you pipeline and maintain contact in preparation of your next placement or hire? The world is shrinking and networks are going global. #trulondon is a testament to the narrowing of borders combining the leading brains in our sector from the U.K, the U.S. & Canada. What are the shared views of the community and where do cultures clash between the continents? What do you need to keep and what do you need to be open to when networking or trading cross borders. Never mind Gen Y,their here now. What will HR look like to Gen Z? Will HR exist in it’s current format? How could the HR role evolve and what will make it the career destination of choice to the bright young things? What do we want from HR now & in the future from a corporate & employee viewpoint? Are these the same things or something different? How can HR please all? How can HR prepare for the future while functioning effectively now? At the close of each day all tracks will spend 45 minutes consolidating the learning & thinking of all the attendees in open discussion in order to focus the mind on the next step. As you might be able to tell from the names above, Bill’s brought together many of the biggest and brightest names from the recruiting, HR and social media worlds (including most of the people that I met on Thursday night), and it should be a really good event. So look out for plenty of blogging, tweeting, podcasting, waving and other social media stuff coming to you on 18th and 19th February. Oh, and if Bill’s OK to have me back, I’ll also be unleading at TRU USA in Madison on April 20th and 21st - note I’m prioritising it above the CIPD (HRD) conference this time around! I was at a recruiting tweet-up (RTU) ie Twitter meet-up that was part of Social Media Week London last night and was delighted to meet lots of new people and some old friends including Mervyn Dinnen, Gareth Jones, Wendy Jacob and Bill Boorman (pictured) – plus Paul Harrison after I’d put my camera away. Before that, there was a presentation / discussion on social recruiting which focused around what this is / isn’t, including some examples of good case studies (Microsoft, Cisco, Sodexho, Deloitte NZ). Matt Alder (see here and here) kicked the presentations off by explaining what social media isn’t, ie advertising. And I think the final definition that was suggested(a bit hard to be certain above the noise of the clinking glasses) was people having a conversation on-line. But I liked Wendy’s suggestion: “talking to people, that’s all it is – getting to know the real you”. I like the ‘real you’ piece – SR’s not a conversation about a job, it’s about the person. And I like the absence of the ‘online’ bit. To me, SR is something we’ve always done, but which is now substantially easier because people are online, and particularly because they’re on 2.0 too. So as Matt said, it’s different to non-social recruiting in that it’s not just about advertising jobs. And it’s not just about receiving applications. It’s linking the organisation and an individual together through conversations and by developing a relationship. So something like an employee referral scheme would come within the definition of SR for me. But there is another bit here too though. 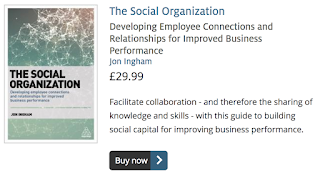 I’ve previously suggested that social learning should mean learning of the social unit (the team or the organisation as a whole) and not just learning socially (generating, co-creating and sharing content, collaborating etc). And I think this should apply to recruitment too. So I’d suggest that SR isn’t just about using relationships to recruit, it needs to be about developing and then maintaining relationships because these are going to be critical to engagement, retention, collaboration etc after a person joins. The presentations then moved on to the benefits of SR and the suggestion was that it is good for recruiting young people cheaply. As you might guess from my definition of the concept, I think this benefit is a bit weak. SR isn’t (shouldn’t be) just about young people, and it’s not just about efficiency. The opportunity is to use SR to get people you’ve never been able to tap before, and to provide your organisation with more / better people with better relationships between then too (higher levels of human and social capital). SR provides an opportunity to transform what your organisation is capable of doing. If all you focus on is activity (doing things on line) and efficiency (doing HR more cheaply) don’t be surprised when you find it hard to engage the business in this! I’ve been reading Lynda Gratton’s newish blog on the Future of Work over the last couple of days. It’s a blog that a definitely recommend to you, full of the deep insight that you’d expect from Lynda Gratton, and particularly valuable as it’s based on her Future of Work consortium and therefore the inputs of 200 executives from some of the world’s smartest 20 companies. So for example, the consortium has identified five themes which will most influence the future of work – demography, globalisation, societal change, low carbon and technology. Gratton goes on basically to suggest that the situation is only sustained by widespread collusion to support the status quo. She suggests however that “very few HR teams, or consultants, or CEO’s are prepared to talk about this”. On a personal note, you can certainly criticise me for not being dispassionate – but then passionate opinion is what blogging is about – but I hope you won’t feel that I don’t make a stand. I think regular readers will all already understand my own views on executive & bankers’ reward, for example. Directors pay and Social Advantage. Enough “being prepared to talk about it” for you Lynda?! Fistful of Talent have just published their 6th round of power rankings, and this blog comes in at #15 of 160 blogs in the talent management space (thanks guys!). Not bad at at all, and I’m particularly pleased to see that Strategic HCM is placed as the top blog from the UK (in fact I think it’s the only blog in top 25 that’s from the UK – but I still need to check on this). 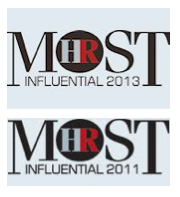 Still, it’s probably not quite enough to claim to be the UK’s top HR blog / blogger. However, I have also just been put in top slot in Hub Cap Digital’s list of the top 10 HR bloggers in the UK (thanks to Michael, Stuart et al). Add to this that I came in as the top, and again the only, UK based blogger in John Sumser’s list of digital HR influencers, and that this blog comes in as the UK’s top career related blog in RiseSmart’s Career 100, and I think that just about wraps it up. Not bad considering I’ve had a bit of a bloggers’ block over the last week or so – I’ll have to stop blogging more often!